The marbled crayfish Procambarus virginalis is a unique freshwater crayfish characterized by very recent speciation and parthenogenetic reproduction. Marbled crayfish also represent an emerging invasive species and have formed wild populations in diverse freshwater habitats. However, our understanding of marbled crayfish biology, evolution and invasive spread has been hampered by the lack of freshwater crayfish genome sequences. We have now established a de novo draft assembly of the marbled crayfish genome. We determined the genome size at approximately 3.5 gigabase pairs and identified > 21,000 genes. Further analysis confirmed the close relationship to the genome of the slough crayfish, Procambarus fallax, and also established a triploid AA’B genotype with a high level of heterozygosity. 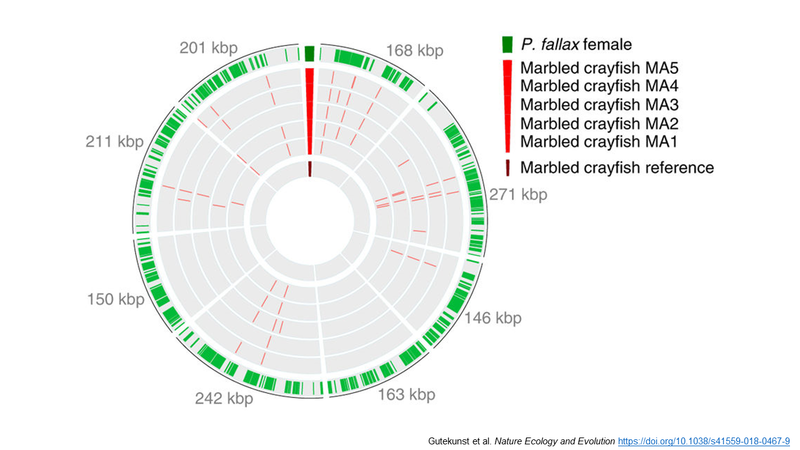 Systematic fieldwork and genotyping demonstrated the rapid expansion of marbled crayfish on Madagascar and established the marbled crayfish as a potent invader of freshwater ecosystems. Furthermore, comparative whole-genome sequencing demonstrated the clonality of the population and their genetic identity with the oldest known stock from the German aquarium trade. Our study closes an important gap in the phylogenetic analysis of animal genomes and uncovers the unique evolutionary history of an emerging invasive species. In the last 15 years, considerable attempts have been undertaken to develop the obligately parthenogenetic marbled crayfish Procambarus virginalis as a new model in biology. 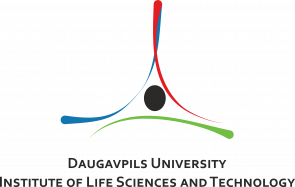 Its main advantage is the production of large numbers of offspring that are genetically identical to the mother, making this crustacean particularly suitable for research in epigenetics. Now, a draft genome, transcriptome and genome-wide methylome are available opening new windows for research. In this article, I summarize the biological advantages and genomic and epigenetic features of marbled crayfish and, based on first promising data, discuss what this new model could contribute to answering of “big” biological questions. Genome mining is expected to reveal new insights into the genetic specificities of decapod crustaceans, the genetic basis of arthropod reproduction, moulting and immunity, and more general topics such as the genetic underpinning of adaptation to fresh water, omnivory, biomineralization, sexual system change, behavioural variation, clonal genome evolution, and resistance to cancer. Epigenetic investigations with the marbled crayfish can help clarifying the role of epigenetic mechanisms in gene regulation, tissue specification, adult stem cell regulation, cell ageing, organ regeneration and disease susceptibility. 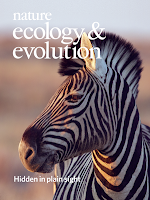 Marbled crayfish is further suitable to elucidate the relationship between genetic and epigenetic variation, the transgenerational inheritance of epigenetic signatures and the contribution of epigenetic phenotype variation to the establishment of social hierarchies, environmental adaptation and speciation. These issues can be tackled by experiments with highly standardized laboratory lineages, comparison of differently adapted wild populations and the generation of genetically and epigenetically edited strains. (Decapoda) are presented in the article. 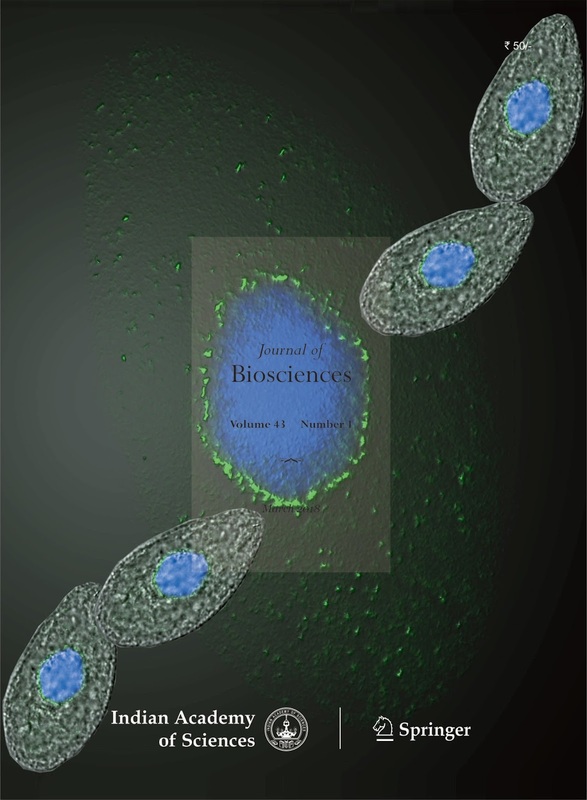 It is determined that size of glandulocytes and their nuclei affected by to heavy metals naturally reduces however nuclear-cytoplasmic ratio is stably preserved, which is probably the excretory system adaptive response to the impact of heavy metals ions. Pagad and colleagues (2018) have a new paper about the Global Register of Introduced and Invasive Species. Naturally, I went looking for Marmorkrebs. You can’t search for common names, for the looks of things, just Latin ones. We will have to wait and see whether the proposal to change the name of Marmorkrebs to Procambarus virginalis will reduce the number of variations in lists like these, or just be one more variant to search for. The second interesting thing is that are only four countries on the list: Germany, Sweden, Croatia, Ukraine. The map of Marmorkrebs introductions that I curate has six more: Madagascar, Japan, Italy, Hungary, the Czech Republic, Slovakia, and the Netherlands. It will be interesting to check in from time to time to see how long it takes for this to be updated. 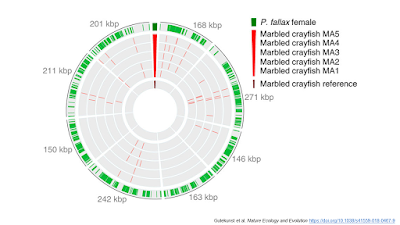 The first crayfish genome is done, and it’s Marmorkrebs! I normally don’t cover pre-prints in the blog, preferring to wait until the final, paginated version is out. But the pre-print for the Marmorkrebs genome by Gutekunst and colleagues is attracting international attention from journalists, and its Altmetric score is climbing fast. This post will collect news articles related to this paper. I’ve been waiting the better part of a decade for this. After blogging about this in 2009, I’ve complained about the lack of a crayfish genome for years (2011, 2012, 2015, and 2016 at least). The portal for the genome is here. This paper also provides the second major snapshot of the spread of Marmorkrebs in Madagascar. While previous papers showed it was in many places around the capital, this one shows just how far Marmorkrebs has spread.